Enhancers and promoters interact to confer cell type–specific expression and response profiles. 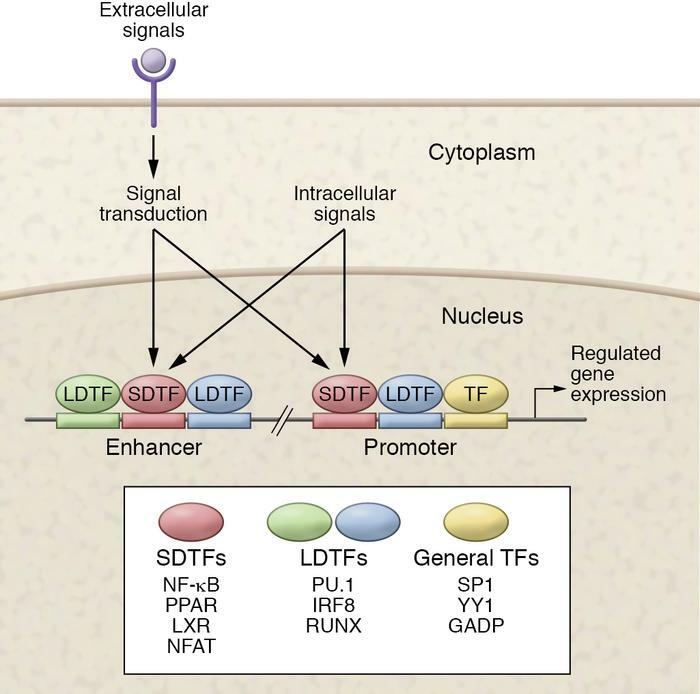 Promoters are primarily occupied by general sequence-specific transcription factors (TFs), but are also important sites of action of lineage-determining TFs (LDTFs) and signal-dependent TFs (SDTFs). Enhancers are primarily selected by LDTFs and are usually the most numerous binding sites for SDTFs. External and internal signals converge on SDTFs to regulate enhancer and promoter function.